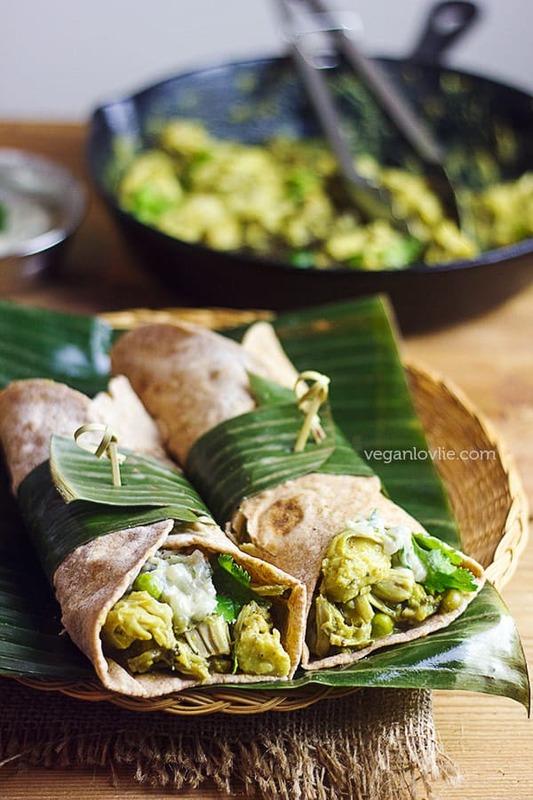 A simple fragrant kalia jackfruit curry recipe that can be served over rice or in a wrap / roti. 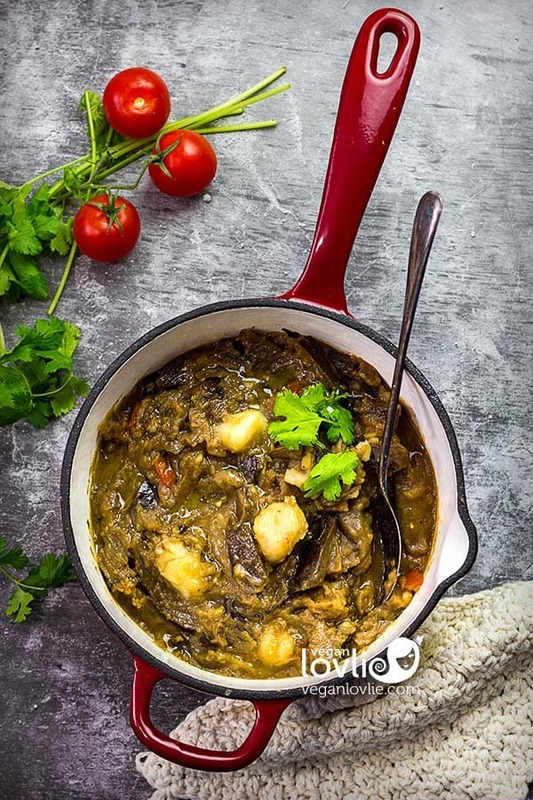 This easy curry, ‘cari jacques’ — as it is typically known in Mauritius, is yet amazingly tasty; you will be licking your fingers! For its sheer ginormous size, the jackfruit is unquestionable reason for amazement. Back in the days as a kid, fascinated at what is considered to be the world’s largest tree-borne fruit, I could not help but stand in utter awe at this marvel of nature. These humongous fruits can reach up to 90 cm in length. Unlike other trees, the fruits of the jackfruit tree hang from the tree trunk. Thankfully for that matter, lest we risk of being thumped on the head by a falling jackfruit. Once ripen though, the mere odour emanating from the fruit is enough to keep some people at bay. Smelly feet or stinky cheese could be close descriptions but really it is not that bad. Take a bite into a perfectly ripen jackfruit and you’ll forget about the smell — a wonderfully sweet custardy-like yellow flesh. Smaller fruits have a somewhat starchy gooey texture while the mature and larger jackfruits are firmer and stringy. 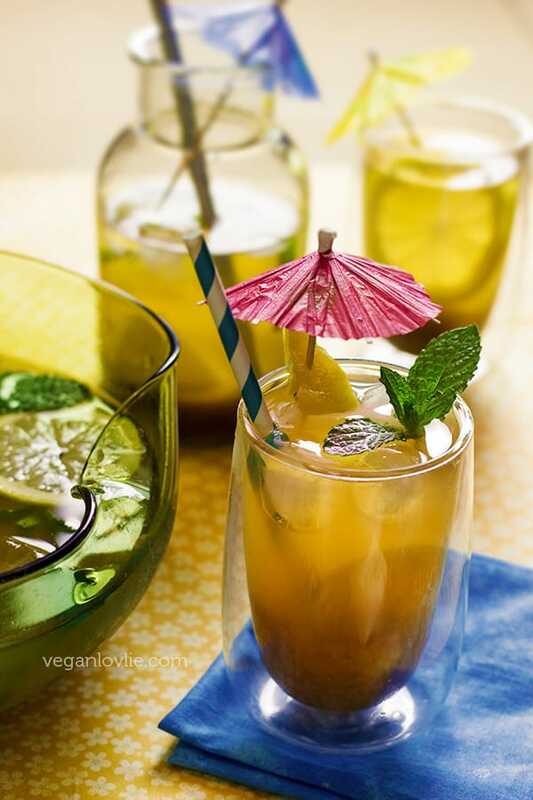 At best, the taste can be compared to a soft mango, somewhat peachy and pear-like — a tropical outburst of flavours! There is nothing quite like it. While ripe jackfruit is eaten fresh or in desserts, the green or young jackfruit, on the other hand, lends itself to many savoury preparations. 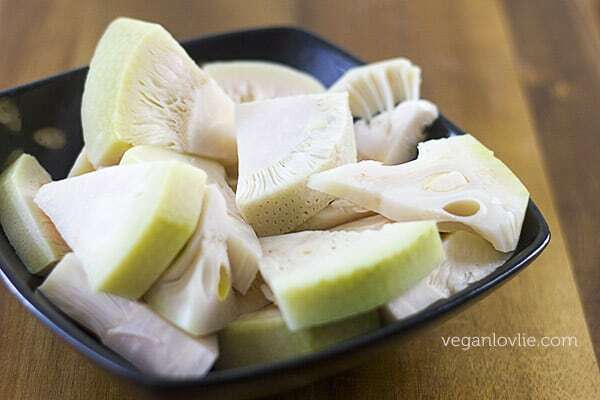 More or less bland on its own, the white flesh of the green jackfruit picks up flavours nicely — jackfruit curry is definitely something to put on your must-try list if you are unfamiliar with just how tasty this fruit can be. What’s remarkable about this fruit is the texture which can be shredded with a fork once cooked. Every time I would go back to Mauritius for holidays, I would always request my mum’s jackfruit curry. Fresh jackfruit is always a lot nicer but it can be quite a challenge to peel; it is very sticky as it has a latex that oozes out when it is cut. At the moment, jackfruit is not in season; they usually can be seen in Asian stores during the summer months. 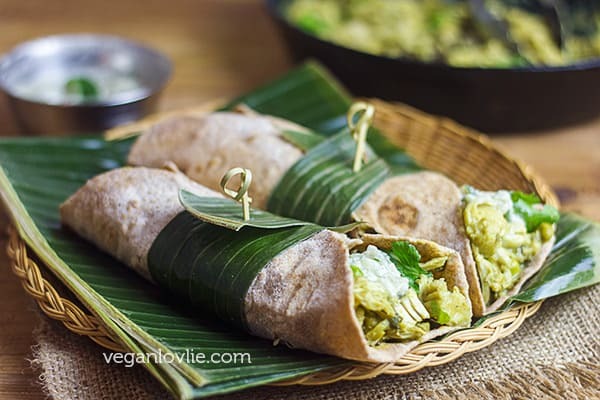 So, in this recipe I am using canned jackfruit. Frozen jackfruit can also be found in the larger Asian stores. Make sure you get the green or young jackfruit, not the ripe one. 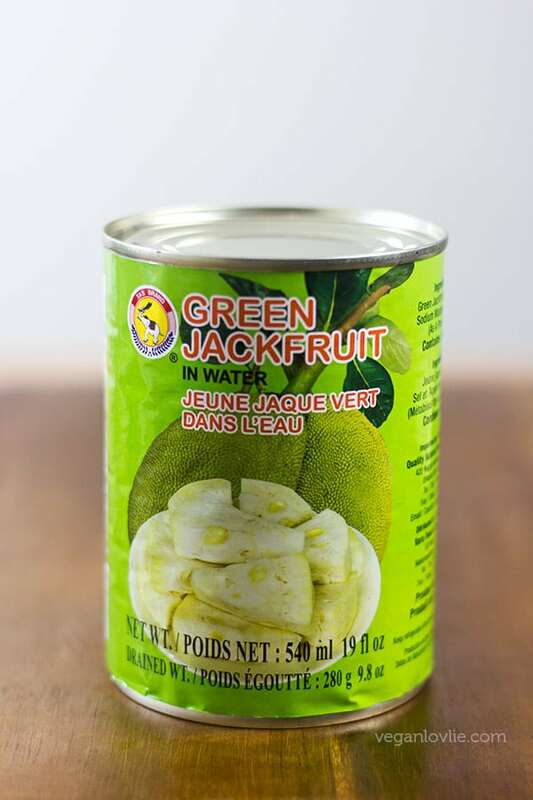 The canned green jackfruit will come in brine while the ripe one usually comes in syrup. The latter is not appropriate for savoury dishes. 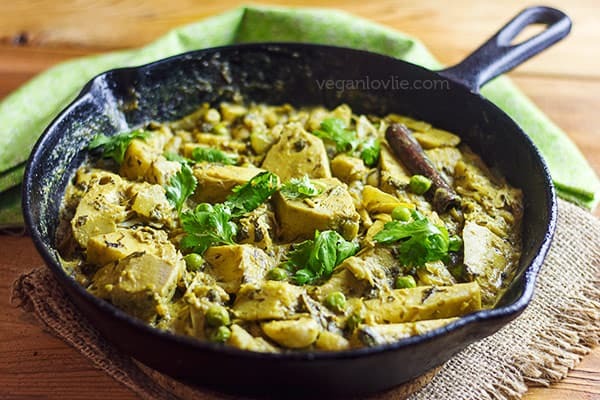 This jackfruit curry is great accompanied with some cucumber mint raita. The recipe is coming soon, so watch this space or subscribe to our newsletter so you don’t miss it. The spelt flatbread recipe is also coming soon; in the meantime you can check out the other flatbread recipes that we have on the blog. 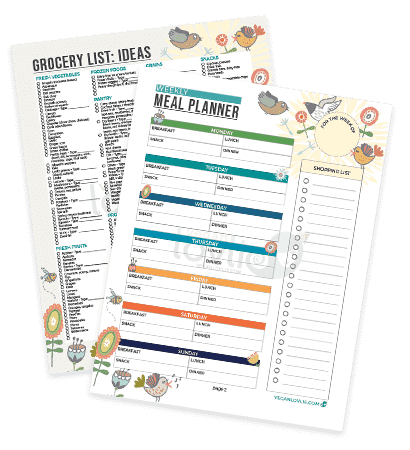 Watch the video for the easy step-by-step procedure. Finely chop the herbs. Cut the chilies in half (or leave whole for less heat). Dice the onions. Cut the jackfruit into smaller pieces if too large. Mix the tamarind with a little warm water and mash between the fingers to remove the seeds. (Here is a video where I talk more about tamarind paste and demonstrate how to do this). Keep the this tamarind juice aside. In a pan or skillet on medium heat, add 1 teaspoons of oil. Add in the ginger, garlic and onions. Cook until onions are translucent (about 1-2 minutes). Next add the garam masala and cumin. Let these roast with the onions for about of one minute. Add in the coconut milk. Mix well with the spices. Then add the cinnamon stick, cardamom pods, turmeric and tamarind juice. Add the herbs (mint and coriander/cilantro). You may keep a little aside for garnish. Let the gravy simmer for about 5 minutes. Then add the jackfruit and the chilies. Stir and mix well with the sauce. Cover and cook for about 12 minutes. If using fresh or frozen jackfruit, you may need to cook for longer (about 20 – 25 minutes while stirring occasionally and adding more liquid as needed). Add salt to taste (or about 1 teaspoon). Add the maple syrup. Stir and cook for about 2 – 3 more minutes. At this stage you may uncover the pan to reduce the sauce or add more coconut milk (or other non-dairy milk) if you want more sauce. Cook until you obtain the desired consistency. Test if the jackfruit is done then turn off the heat. You may shred the jackfruit with the help of two forks and pull the strings apart. Garnish with coriander and mint. 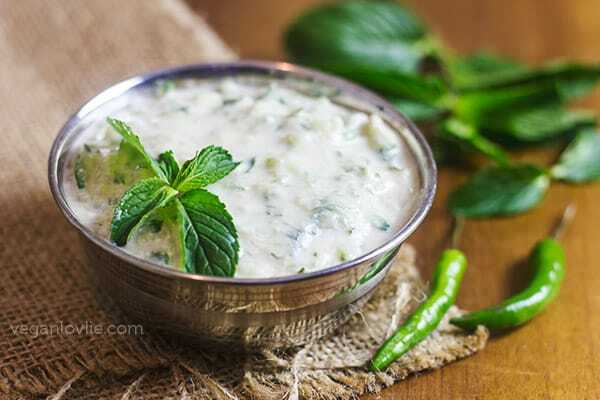 Serve over rice or in rotis with some cucumber mint raita. 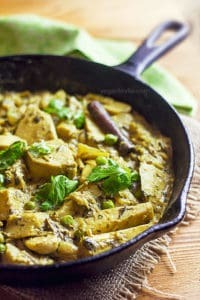 A simple fragrant kalia curry with jackfruit recipe that can be served over rice or in a wrap / roti. This is an easy curry yet amazingly tasty; you will be licking your fingers! 'Cari jacques' — as it is typically known in Mauritius — is very often prepared with other protein. Let the gravy simmer for about 5 minutes. Then add the jackfruit and the chilies. Stir and mix well with the sauce. Cover and cook for about 12 minutes. If using fresh or frozen jackfruit, you may need to cook for longer (about 20 - 25 minutes while stirring occasionally and adding more liquid as needed). Add salt to taste (or about 1 teaspoon). Add the maple syrup. Stir and cook for about 2 - 3 more minutes. At this stage you may uncover the pan to reduce the sauce or add more coconut milk (or other non-dairy milk) if you want more sauce. Cook until you obtain the desired consistency. Test if the jackfruit is done then turn off the heat. 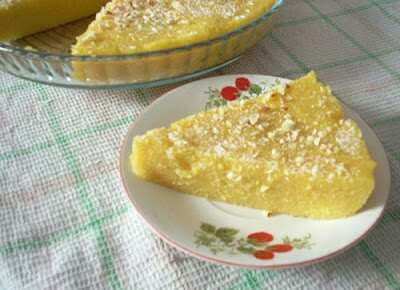 I am interested in trying this recipe, as I have never used jackfruit before.. I was just wondering, do you not cut out the cores of the jackfruit pieces? How many cloves of garlic did you use? Also, is there something I could substitute for the green peas?